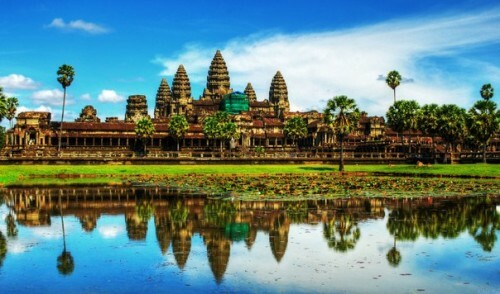 Cheap flights to Cambodia: Phnom Penh for only €399! Qatar Airways now offer really cheap flights to Cambodia. 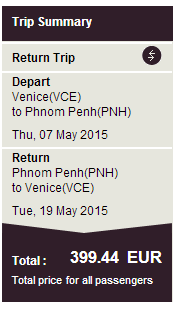 Return ticket from Venice to Phnom Penh will cost you only €399! You would normally pay between €600 and €800 for this trip! Venice is well connected with the whole Europe thanks to low cost flights operated by Wizzair, Ryanair or Easyjet. Travel dates are from 20th January to 10th December with exception of 2 weeks around Easter and Summer holidays. Book your ticket directly through Qatar Airways to get this price! Cambodia is very cheap country and accommodation in Phnom Penh is really affordable no matter if you look for hostel or hotel. Check all accommodation option and compare all booking sites at once. « Cheap flights to South Korea: Seoul from Prague for €420!